Update: The UK has announced a similar ban of electronic devices on select flights. Direct flights to the UK from Turkey, Lebanon, Egypt, Saudi Arabia, Jordan and Tunisia will not allow devices above a certain size in plane cabins, requiring them to be checked in. Devices that must be checked in on these flights include laptops, tablets, e-readers and DVD players, however unlike the US ban, it also covers phones larger than 16.0cm x 9.3cm x 1.5cm. The US requirements don't apply to smartphones, though particularly large ones may be restricted. Travelers are advised to contact their airline if they have questions about what devices they can bring onboard. 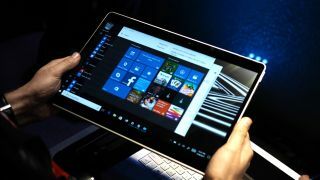 Electronic devices larger than smartphones are banned from the cabins of non-stop flights to the US departing from 10 airports and must be checked in, the US Transportation Security Administration (TSA) announced Tuesday. The impetus for the enhanced security measures is not a specific threat, but rather a trend by terrorist groups to target commercial aviation, according to the Department of Homeland Security (DHS). Terrorists have in the past smuggled explosives disguised in consumer products, and the TSA, DHS and other agencies are concerned about terrorist groups' attempts to evade airport security and carry out attacks. New intelligence also played a role in implementing the directive, and the US government recognizes an "intensifying" effort to attack the airline sector. Though the ban is not universal, it will impact all passengers on non-stop flights to the US from the 10 affected airports. Here's a breakdown of the electronics ban, including which airports are impacted, what kind of devices won't be allowed in plane cabins and how long the ban could last. What are the 10 airports affected? The new US restrictions currently only affect flights from 10 specific airports that serve as the last point of departure for the US, otherwise known as non-stop flights. The overseas airports were selected based on "the current threat picture." Working with other members of the intelligence community, the DHS determined where the new security measures will be enforced. The DHS says a small number of flights will be affected comparative to all the flights that leave for the US every day, though the exact number will fluctuate daily. No specific airlines are targeted by the restrictions; rather, every non-stop flight to the US by any airline leaving from the 10 airports will require passengers to check in large electronics, a DHS spokesperson tells us. More airports could be added in the future, including ones located in the US, as threats are re-assessed and new intelligence is gathered. While affected airlines know of the requirements and must enforce them, they can communicate and implement the new measures in a way that fits their business model, according to the agencies. What devices are banned from plane cabins? The government agencies are using cell phones/smartphones as the measuring stick for restricted electronics with the understanding most air travelers are familiar with the devices. Any device larger than commonly available smartphones cannot be inside a plane cabin either as carry-on luggage or accessible to passengers in any way, such as carried on your person. If you're not sure if your smartphone meets the size requirements, you can check with your airline to see if your device won't be allowed in the cabin. Medical devices that meet approval can be brought onboard after additional security screening. Many of these devices are common carry-on items, with passengers passing the time on flights watching movies on tablets and laptops, doing work or reading on devices like the Amazon Kindle. "Electronic game units larger than a smartphone" would include the Nintendo Switch, which launched earlier in March and is the size of a large handheld. While the device is portable, it will almost certainly be restricted in the cabin of flights impacted by the ban. One point of confusion in the restrictions is that lithium-ion batteries are typically a no-no in checked bags because of their volatile nature. These batteries are commonly found in electronic devices, such as laptops. The TSA made no mention of any possible conflict between lithium-ion regulations and the new carry-on restrictions, and a DHS spokesperson has not returned our request for clarification on the rules. Is the ban in place right now and how long will it last? Airlines have 96 hours to become compliant with the new security measures from 8am ET on March 21. Once in place, the ban is in effect until the threat changes, and there's no timeline for when that will be. Put another way, it's effective indefinitely. The TSA and DHS will continue to monitor and evaluate risks and base decisions on security needs, making policy changes as intelligence dictates. Are flights leaving from the US affected? No. Domestic flights and international flights departing from the US aren't affected by the new security measures. There is no restriction on electronic devices on any flight that starts its journey in the US, meaning passengers of these flights can continue bringing laptops, tablets and all other electronic devices onboard aircraft as they normally would. New security measures may understandably make some feel uneasy about air travel. The agencies say flying is safe and cite a "robust security system" that relies on several layers of precaution involving screening, intelligence gathering, various personnel and procedures, and general vigilance with helping to keep travelers safe. By monitoring threats and changing security measures accordingly, as is the case with the new restrictions, the TSA says it aims to maintain security without unduly disrupting travelers. In its statement on the country's ban, the UK government said it is not currently advising against travelers going to the countries where the restrictions apply. If you are traveling on a non-stop flight to the US or the UK from one of the affected airports or countries, be advised to check your large electronic devices in with your luggage before your flight. If you're unsure whether your smartphone will be allowed in the cabin, contact your airline for guidance.